To provide fair and equal chance of winning to all Calista Corporation (“Calista”) Shareholders, the following are the official rules for the Calista Connect Contest. a. Calista Corporation Calista Connect Contest (“Contest”) ends 11:59pm on 04/05/2019. b. There will be 4 prizes with a maximum of one prize per winner. 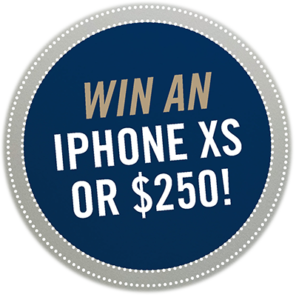 There will be 2 grand prize winners that will be awarded an unlocked iPhone XS with 64GB memory, and 2 second place winners that will each be awarded $250. All winners will be notified by phone or email by Calista staff after the Contest has concluded. 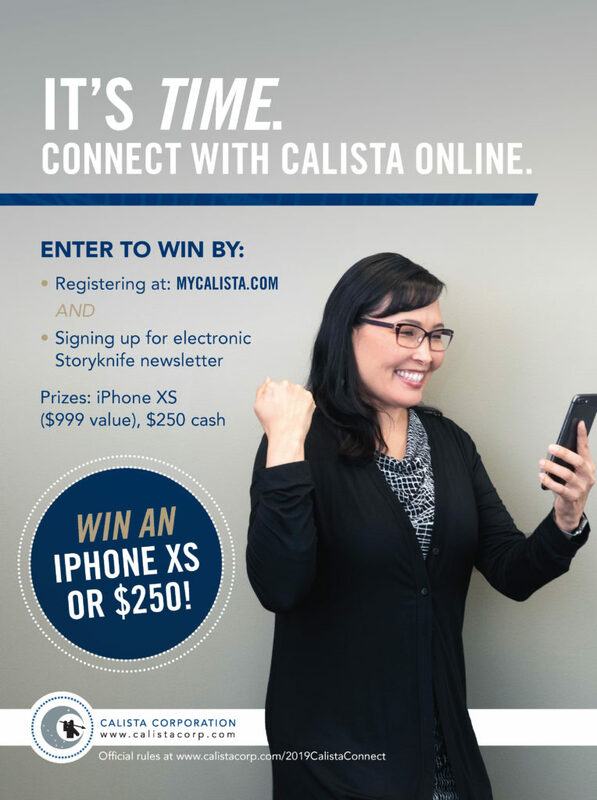 MyCalista registration: Visit https://mycalista.com (MyCalista) and follow the directions to Register and complete registration to create a MyCalista account. The Contest IT administrator’s computer is the official time-keeping device for the contest. a. There will be 2 grand prizes and 2 second place prizes that will be awarded after this Contest has concluded. Each eligible Shareholder will be allowed 1 entry for the entirety of the Contest. b. Winners will be selected on or before April 22, 2019.
d. This Contest and the prizes are offered solely by Calista. To the fullest extent permitted by law, by participating and/or accepting a prize, entrants and winners agree to release and hold harmless Calista, and its affiliates, advertising and promotion agencies, any social media platform utilized in the conduct of the Contest (including but not limited to Facebook, Inc.) and each of their respective parent, subsidiary and affiliated entities, and the officers, shareholders, directors, employees, agents, representatives, successors, and assigns of each of them (collectively, the “Released Parties”) from and against any and all claims, losses or liability, including but not limited to personal injury, property damage and death, arising directly or indirectly, in whole or in part, from the prize or participation in the Contest, or the acceptance, possession, use or misuse of any awarded prize (or portion thereof); and the use of his/her name, address (city and state), voice, performance, photograph, image and/or other likeness for programming, advertising, publicity, trade and promotional purposes in any and all media, now or hereafter known, worldwide and on the Internet, and in perpetuity by Calista and its designees, without compensation (unless prohibited by law) or additional consents from entrant or any third party and without prior notice, approval or inspection, and to execute specific consent to such use if asked to do so. Calista may also require eligible Contest winners, if any (as well as each of their parent(s) or legal guardian(s), if winners are under the age of majority in their state of residence), to sign a liability release confirming such consent. i. To obtain a copy of the Official Rules or a list of winners following completion of the Contest, send a self-addressed, stamped envelope specifying “Calista Corp. Calista Connect Rules” or “Calista Corp. Calista Connect Winners List” to Calista Corporation, 5015 Business Park Blvd., Suite 3000, Anchorage, AK 99503. A copy of the Official Rules and a list of winners (when complete) are also available during regular business hours at either the Bethel or Anchorage office. All such requests must be received within thirty (30) days following completion of the Contest.